Iran has not yet shared with Brussels a preview of the nuclear proposal it is expected to present to six world powers in Geneva next week, a European Union official tells Al-Monitor. Israel’s Channel 2 reported Wednesday that sanctions may soon be lifted on Iran after the US and Iran have secretly made progress towards a nuclear deal. The report by the channel’s Middle East affairs analyst Ehud Ya’ari cited in part a Wall Street Journal report describing curbs in Iran’s nuclear work that Iran may propose. But western officials tell Al-Monitor they have not received the proposal. Some US Iran watchers suggested some of the reports may be pushed by sources who may want to set expectations for the Iranian proposal unrealistically high and thus make whatever Iran presents next week look wanting. While Iranian Foreign Minister and lead nuclear negotiator Mohammad Javad Zarif stayed in New York last week for meetings with Iran experts and others, including Sen. Dianne Feinstein (D-California), sources who met with him said he did not go into such detail about the proposal he is expected to present at the meeting with the P5+1 in Geneva October 15-16. US nonproliferation experts who have been consulting with the US administration this week said it was their understanding that the US has also not yet received any concrete details on what the Iranians may propose. 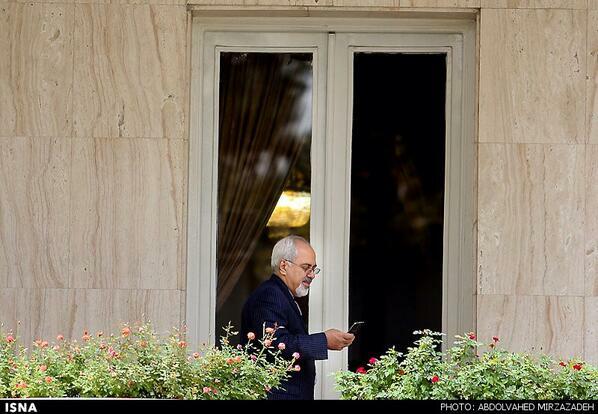 Meantime, Iranian negotiators were also contending with hardline, would-be spoilers at home. Zarif wrote on his Facebook page that he had had to go to the hospital wiih stress-induced severe back pain Tuesday after hardline Kayhan newspaper falsely reported that he had told Iranian MPs that the Supreme Leader had disapproved of his having met with Secretary of State John Kerry in New York. This entry was posted in Politics, Security and tagged Catherine Ashton, Channel 2, Ehud Yaari, EU, EU3+3, Facebook, Iran, Israel, Javad Zarif, John Kerry, nuclear., P5+1, sanctions by Laura Rozen. Bookmark the permalink.